In the last 10 days, my diabetes technology world has changed. On one hand I have reverted to an older tech platform. On the other hand I have zoomed into the future with a modern and cool-for-a-64-year-old-woman device. Stepping Back: After getting my free(!) upgrade to the Dexcom G5 last fall, I was lucky to be left with an unused G4 transmitter. I didn’t start using the G5 until March when my previous G4 transmitter passed its 1-year anniversary. It was still working fine, but I abandoned it to transition to the G5 platform. A bit wasteful, but gee whiz, that transmitter was never going to die! I used two G5 transmitters and for the most part was happy with G5. That unused G4 transmitter did not disappear and kept sending “Use Me! Use Me!” messages to my brain inbox. If I were not moving to Medicare and no CGM coverage in 6 months, I probably would have used my “privileged diabetes patient” status to stay with G5 and give the unused G4 transmitter to a needy DOC friend. Last weekend my second G5 transmitter timed out and I bit the bullet to go back to G4. My CGM warranty expired in early September and I was able to order a new G4 Share receiver. Although it had only been 6+ months since I had last used Share, I panicked as it seemed totally foreign to me. Also because I am using the mySugr logbook, I needed to be sure that my CGM information would continue to sync to the app. Miraculously I figured everything out and it is working correctly. Onward to the Future: Earlier this fall I decided that I would use my #firstworldprivilege to order an Apple Watch so that I could see my current blood sugar just by raising my wrist. Please remember that I started my diabetes career in the days of urine testing and things like this are magical to me. My Apple Watch 2 arrived last week. I have not worn a wristwatch in 12+ years since I got my first insulin pump, aka pocket watch. It wasn’t terribly difficult to add the Share app to the watch and it works okay. Unfortunately it cannot be used as a watch face “complication” like the G5 app. There is another app called “Watch Sugar” that allows me to add the Dexcom number to my watch face, but it is so time-delayed that I don’t find it helpful. Basically I leave the Dexcom Share app open on the watch all of the time and it is usually what I see first when I raise my wrist. When Share is not the wake-up screen, it is easy to find the app in the dashboard and restore it. My difficulty with this whole set-up is that occasionally it just doesn’t work. If I am using other Bluetooth devices such as headphones or a speaker, I think the phone gets confused and occasionally loses the signal from the Dexcom receiver. There are also user-error problems such as leaving the receiver upstairs or closing out the Share app on my phone. Clash of the Past and Future: The bad part about these D-tech changes is that now I have two more devices to carry, coordinate, and charge than I did two weeks ago. The G4 requires a receiver and of course the watch is added. The blood glucose number that I see on my wrist starts with the transmitter beaming info to the receiver which communicates with the phone that sends it to the watch. There is definitely some mental fatigue and data overload with this set-up. At the same time I love not having to reach into my pocket to retrieve Dexcom data. For the first time in my diabetes tech history, I am in the golden upgrade zone. The FDA approval of the Dexcom G5™ Mobile CGM System was announced the same week that my G4 warranty expired. According to Dexcom’s upgrade program, I am entitled to a free upgrade to the G5 system if I purchased my G4 Platinum System with Share before the G5 begins shipping. It was a no-brainer to order my new G4 system as soon as possible because I never want to run the risk of out-of-warranty equipment failing. Due to good insurance and the CGM rep at Edgepark (yes, I always have great service from Edgepark unlike so many others who report horror stories), my new CGM arrived within a week. At this point I began doing my homework about the upgrade options. As I learned more about the G5 system, it quickly became apparent that it was not a slam-dunk decision to upgrade. I’ll discuss a few of my concerns below. One Less Device: I joke about diabetic pants and never buy clothes without pockets. I currently carry an insulin pump, glucose tabs, Fitbit, Dexcom receiver, occasionally car keys, and often my phone. The possibility of eliminating the Dex receiver is appealing. Optional Receiver: If I don’t like using my iPhone as my receiver, I can always use the G4 Share receiver updated with the G5 software. Sunlight: The G4 receiver with its black background is difficult to read in bright sunlight and the red color used for lows is almost invisible. My Animas Vibe pump is even worse and the text is totally unreadable in bright light. My phone has a better display and is easy to see in all light conditions. (Note: Now that I have the Share receiver, I have the option of using my phone without upgrading to the G5, but I would have to carry the receiver.) Because the G5 software upgrade will result in a new receiver display with a white background, maybe it will be easier to read in the sun than the current G4 device. “Free” G4 transmitter: Because my current G4 system is working, I have not had to open the new G4 transmitter. I do not have to return this transmitter when I get the G5 transmitters and can keep it as a back-up to use with my current non-Share receiver. This is appealing as I get close to Medicare with no coverage for CGMS. The Price is Right: The upgrade is free! Expiration of G5 transmitters: My understanding is that the G5 transmitters will last 3 months and drop dead after 108 days (90 days plus an 18-day grace period). If you have good insurance coverage for CGMS, this is not a big deal. With no CGM coverage, the loss of an extended life for a transmitter can be a big deal. Bigger Transmitter: The G5 transmitter has built-in Bluetooth and is bigger than the current slim G4 receiver. It is about the size of the first generation G4 transmitter. Not Compatible with Animas Vibe: Although I rarely use my Vibe as a Dex receiver, I like having the option especially when I want a waterproof receiver at the pool or beach. Because Dex transmitters cannot be turned off, it’s expensive to use a G4 and G5 transmitter concurrently. I assume the lack of G5 compatibly will also extend to the new Tandem t:slim G4 combo. Disadvantages of Phone Receiver: My phone is much larger than the Dex receiver and doesn’t fit into many of my pockets. Although I use my phone a lot, I do not keep it with me day and night. I have no idea whether the sounds and vibrations of CGM alarms on the phone will be adequate. It will take more button pushes to access BG data on my phone compared to the one-button push of the Dex receiver. Medicare: I currently have excellent CGM coverage with private insurance. When I move to Medicare in April 2017, I will have to self-fund a CGM unless Medicare regulations change. My guess is that a G4 transmitter with the Animas Vibe or the Tandem t:slim G4 will be the least expensive option because no other receiver is required. As discussed in my April 2015 review of the Vibe, I am not a fan of the Dexcom integration into the Vibe. But it works and is an option. As far as I know, both pumps will continue to use the outdated G4 software instead of the 505 update. It is possible that under Medicare the G5 will be an equally cost-effective device if I do not need to purchase a new receiver every year. The G5 was approved by the FDA with the requirement that a receiver be provided to new patients. Is that a one-time requirement or will G5 users be required to purchase a new receiver every year when the old one (maybe unused) goes out of warranty? Staying Current: New CGM devices are gaining FDA approval at a much faster pace than in the past. It is likely that both the G4 and G5 will be outdated in a few years and maybe my current decision is just not a big deal. With the Animas Vibe and t:slim G4 tied to the G4, my guess is that the original G4 transmitter will be available for many years to come. The G5 may be a short-lived device on the way to the G6 which promises improved accuracy and reliability along with mobile capabilities. Another consideration is what the new Dexcom/Google collaboration will bring to the table. Decision Deadline: The Dexcom website indicates that “Upgrade offers are available until 60 days after the first G5 Mobile shipment.” However, I learned that because I purchased my G4 Share system through a distributor (Edgepark), I have only 30 days from the date of shipment to upgrade. I am looking at an upgrade deadline of early October rather than late November. Good thing I asked! I have decided to upgrade and will be sent my G5 transmitters in October. At this point I will upgrade my Share receiver to the G5 software. For the most part I am choosing to abandon my Animas Vibe as a receiver and become more hip by never again being separated from my phone. Frankly I don’t know whether this is the right or wrong decision or if it even matters. Dexcom is making the change incredibly easy and I have just decided to go with the newest kid on the block. If nothing else, I am thankful for having the #firstworldproblem of choosing which CGM system to use. I promise to let you know how it goes. When I started this post, my aim was to compare my Dexcom G4 CGM to the little girl. I am a huge fan of my CGM and most of the time it is a trustworthy and reliable device. But occasionally it shrieks, spews out bad results, and stomps its little sensor feet just to remind me that it is imperfect and I shouldn’t expect constant excellence. The more I looked at this photo, the more I began to realize that I was seeing my own reflection rather than my Dexcom. I can be very good at making optimal decisions when it comes to things like diet, exercise, and insulin. The “Good Me” takes the normal ups and downs of Type 1 in stride and spends a lot of time in range. Unfortunately the “Horrid Me” takes over at other times and makes bad decisions amidst frustration, self-criticism, and just not giving a damn. I feel helpless with my BG numbers and want to scream, throw things, and live a self-destructive life eating chocolate-covered donuts. Dexcom: The Very Good: In mid-August I had severe bronchitis and was prescribed oral steroids. As is typical with steroids, I experienced a huge rise in blood sugars and at one point was taking 5 (!) times my pre-steroid dose of insulin. Although I wasn’t seeing low blood sugars, I was worried about sleeping with such massive amounts of insulin on board. Adding to my vulnerability was the fact that my husband was out of the country on a business trip. During the five days of steroids, my Dex G4 was as accurate as I have ever experienced as it tracked my blood sugars in a range from below 100 to the high 400’s. Most importantly it provided a safety net that if my BG tanked at night, it would repeatedly alarm until I responded. Without the CGM, I would have been terrified to be alone and probably would have needed to set hourly alarms to check my BG day and night. Dexcom: The Very Bad: Ten days ago I started a new sensor. I know that the first 24 hours of any sensor can be wonky, but this sensor site was the worst. Double up arrows in the high 200’s followed by double down arrows in the 40’s when my calibrated BG was between 100 and 125. Vibrations and alarms were driving me crazy. I finally turned off the receiver to give it a few hours to think about how it could improve. When I turned it back on, I continued to receive multiple alerts—some accurate and others absolutely unwarranted. Rather than throw the receiver out the window, I finally just turned off all of the alerts except for the low threshold. Eventually the sensor settled into reasonably good results. Living with a Dexcom: The Good Me and the Bad Me: Most of the time I live in harmony with my Dexcom. I do a good job of knowing when to trust it and how to optimally use the information it provides. One thing that I sometimes ignore is that the CGM is only as good as how I react to it. If things are rough in my diabetes life, I have the power to evaluate how I am using my CGM and make changes if necessary. A lot of my recent frustrations with the Dex are related to alarm fatigue and data overload. There is not much that I can do to prevent a lousy sensor start or change the fact that interstitial fluid behaves differently than blood sugar. The Bad Me overreacts to sensor data and gets stressed by out-of-range BG numbers. I start making too many corrections that often lead to more erratic numbers. I start dismissing alerts without even looking at the receiver. I rage bolus to prevent highs. I eat junk food despite the inevitable cr*p results. I basically get burned out by diabetes. The Good Me remembers that I am in charge of most of the settings on my CGM. After turning off most of the alerts last week, I lived with only the low alert of 70 for several days. I was amazed at how much less stress I experienced in relation to diabetes. I slept better and in general had improved BG numbers per my meter. I eventually turned back on the high alert, but at a threshold of 200 rather than 150. I didn’t change my personal goals for my BG range; I just reduced the Dexcom intrusions into my life. I look at my CGM often enough that except for the protection from undetected lows, maybe I am better off catching the changes myself rather than getting constant alarms for ups and downs. I have kept the rise and fall rate alerts turned off and have not missed them. 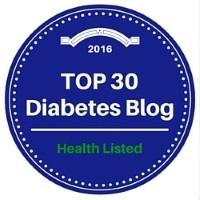 Summary: If you have followed my blog for a while, you know that I was diagnosed long before home BG monitoring, insulin pumps, and even multiple daily injections. On one hand I work hard to have access to the latest and greatest technology. There is no doubt that my life with diabetes has been enhanced with the use of a pump and a CGM. At the same time I need to remember that beeps, bells, and whistles don’t guarantee good blood glucose numbers or mental health. Currently I have turned off many of the Dexcom alarms and that is working for me. There is no guarantee that this will work for next week or next month. There is certainly no guarantee that it will work for you. But the only way to make things better when diabetes seems to be winning the battle is to try something new. Good or bad, it’s worth a try. Please note that as I got this post ready to publish, my new Dexcom sensor alerted to a BG of 53. Two meter tests of 100 and 106 confirmed my BG to be in range. Argh!! !